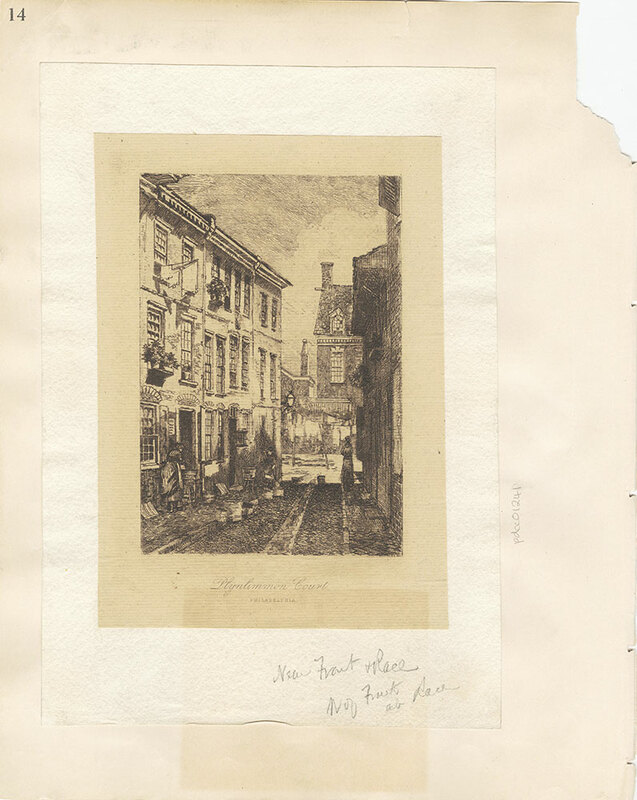 Depicts an alley, lined with rowhouses, opening out to a courtyard with buildings beyond. A woman is standing at a washtub on the sidewalk, while another is sweeping with a broom farther down the street. Clothes are drying outside a third-story window and hanging from lines in the courtyard. Laundry baskets are lined up by the side of the cobblestoned street. Plynlimmon Court was a blind alley near Front and Race Streets.